For the first time in 15 years, Thomasville will host a Spring Ramble and open up its historic homes to visitors and tourists. 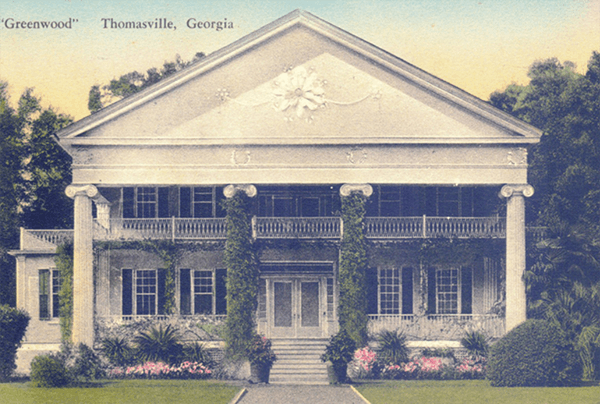 April 12-14, “ramblers” will stroll through architectural masterpieces on guided tours through Thomasville. The town, once was known as the winter resort of the south, was built and frequented by wealthy families in the late 1800’s. What remains from that golden era is a wealth of turn-of-the-century mansions, cottages and plantation sites that are now protected by National Registry districts. Spring Ramble guests will see a variety of architectural styles on the tour, including sites from the Greek Revival, Neoclassical Revival, Colonial Revival, Craftsman and High Victorian eras. The first stop is an 1884 Queen Anne style cottage with 19 rooms, and after, a walking stroll through the Dawson Street Residential District which features several beautiful private residences. It’s the city’s largest in-tact historic neighborhood. Ramblers will also experience the home that served as refuge to Jacqueline Kennedy after John F. Kennedy’s assassination. Jackie stayed in Thomasville’s Greenwood Plantation, an 1839 Classic Revival home. President Eisenhower was also known to hunt quail on the property. Now, the property will offer visitors a rare glimpse at its interior. The mansion on the property was designed by John Wind and features elegant touches: the façade’s pediment has a decorative flower carving, beautiful tall Greek pillars and a breathtaking second floor balcony and porch. Tourists can also learn about a village of Neoclassical Revival era buildings, which include a schoolhouse, stable complex and fire engine building. The Spring Ramble will support the Georgia Trust’s mission for historic preservation in the state.